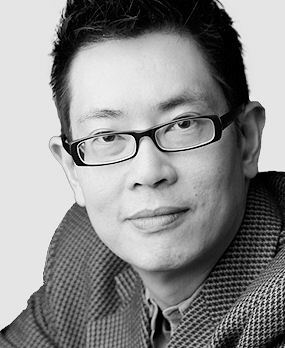 Damon Chua is the recipient of an Ovation Award (Best World Premiere Play) for Film Chinois, which made its Off-Broadway debut with Pan Asian Repertory Theatre in 2015. His other produced works include 1969: A Fantastical Odyssey Through the American Mindscape; A Book By Its Cover; and The Ghost Building. A National Endowment for the Arts, Dramatists Guild Fund, UNESCO and Durfee Foundation grant recipient, Chua’s plays are published by Samuel French, Smith & Kraus and the Proscenium Journal. A member of The Public Theater’s Emerging Writers Group 2014-15, Damon’s plays have been staged in New York, Chicago, and Los Angeles, and presented in London, Singapore and Toronto. His TYA play The Emperor’s Nightingale received its world premiere with Adventure Theatre MTC in 2016. The place: Peking, China. The year: 1947, an uneasy time between WWII and the Communist takeover two years later. Randolph, a fresh-faced American operative, has been sent to the Raymond Chandler-esque Imperial City with an important mission. He makes progress, but soon chances into a staunch Maoist named Chinadoll, his would-be adversary and lover. A cat-and-mouse game ensues, complicated by the actions of the Belgian Ambassador and his current squeeze, the willful Simone, who appears only interested in getting transit papers to leave the country. As Randolph plunges deeper and deeper into the heart of darkness of what was once the most beautiful city in the world, he soon finds his life imperiled, even as he begins to unravel the mystery of a piece of old home-made film, and the whereabouts of a beautiful woman who seems to have vanished into thin air. Set in a historic hotel in Los Angeles whose glory days are long gone, this play juxtaposes two sets of characters — one from the 1920s and the other from the early 2000s — pitting them against one another and against a high-stakes murder that has remained unsolved for decades. Daisy Milbrandt is a young actress who arrives in Hollywood in the silent movie era. Rebelling against her strict mother, she falls in love with roguish film director Desmond Redfern, only to be implicated in his murder when he is found dead. Eighty years later, tourist Cha-Cha Mangabay comes to stay at the hotel, now a run-down tenement building. She is drawn into solving the Redfern murder by a ghost from the past, and gets much more involved than she ever bargained for. Over the course of ten years, Chinese American Millie Wu establishes a relationship with her lost-long Chinese cousin Pui Mun – reconstructing their common family history, growing closer, falling out, and then coming together to work toward their intertwined future. It is a story of national and cultural identity set against an ascendant China as a world power; it is also a hilarious (and sometimes painful) tale of a Chinese American having to adjust her place in the world as her Chinese cousin becomes wealthier and more influential. A multi-narrative, psychedelia-fueled examination of how the excesses of the sixties caused a backlash and spawned the conservative movement, the play centers on the 1969 moon landing and features real-life characters such as Mary Jo Kopechne, Madalyn Murray O’Hair, Anita Bryant, astronaut Michael Collins, President Nixon, and the Kennedy brothers. In pitting the conservatives against the liberals, we see the continuing debate between God and science, between seeing and believing.